Who Really Is The Most Annoying Zelda Character? If any of you frequent a Zelda forum, such as Zelda Dungeon, there is no doubt in my mind that you have stumbled across a thread discussing a character from the series being extremely annoying. I’ve seen this thread recreated over and over several times in the past 4 years, but only a few characters stand out as an annoyance to the Zelda fans out there. These include characters such as Midna and Tingle, but Navi soars above the rest as the character that everyone finds annoying. In the past, I shared this opinion of Navi. Currently, my opinion on Navi is close to being the exact opposite of my old opinion, after putting a little thought into it. • Navi distracting the player by saying things like “Hey, Listen”. •	Navi never shutting up throughout the entirety of Ocarina of Time. •	Navi interrupting the player during game play. Even the youngest of players would have figured this out, no matter how in experienced at gaming, even if by mistake. Sure, it’s something that Link, a Kokiri who lives in a village with no doors, would have found useful because he wouldn’t have seen one before. However, I don’t believe that this information is actually that useful to the player. We were even presented with a large symbol (at the top of the screen) that had the various different actions it performed, such as opening the door, thus making Navi’s comment unnecessary. I generally find all of the interruptions by Navi that occur within the first hour or so to be quite useless, but that’s because I’m more experienced at the game. When I was younger and wasn’t so familiar with the enemies in the game, I would have never have realised that the Skullwalltulas would charge at me if I tried to climb up a wall or some vines without killing them, something that a lot of gamers that are inexperienced wouldn’t know either. For those that are still thinking “Navi was still annoying because she wouldn’t shut up”, I have a suggestion that I think would work well. If you don’t want to listen to Navi, don’t press C-Up. If you don’t press that button, you cut out a large chunk of the time of Ocarina of Time that you would spend talking to Navi. No one can complain that Navi is speaking to them when they need help either, because that would be hypocritical. It would be like asking your mother to cook your dinner then getting annoyed at her because she did so. There are only a few places that she will forcefully stop you from playing the game to listen to her advice, which, as I said before, only really occurs within the first half an hour of the game, a small portion of the game. There are also a few occasions in the Forest Temple and Shadow Temple that I can think of (and any other temples that have Wallmasters that I have forgotten), when you walk into a room with a Wallmaster. Then you have to look at the fact that Navi’s hints were both helpful and timesaving. I believe that many people playing through Ocarina of Time would find it rather aggravating to be running around a temple and suddenly be carried all the way back to the entrance; it would have wasted a fair amount of time too. Thanks to Navi, you don’t have to worry about that problem at all, as she will interrupt the game and tell you to watch out for the shadow of the Wallmasters so you can avoid getting dragged off. I even managed to kill a Wallmaster and get some rupees, so that’s a bonus, and the fact that I then had the freedom to search that room until I left and re-entered was rather helpful. Her clues also helped me at points in the game in which I was hopelessly stuck and I couldn’t find out what I had to do next to progress to the next temple (such as guiding you to the next place you need to visit) or what the weak spot of the enemy’s defence is. 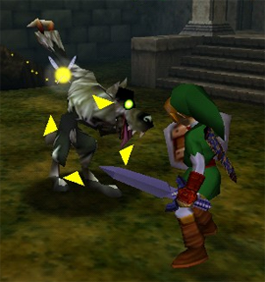 Navi’s final and most awesome trait was that she introduced us to Z-targeting, something that made the transition to 3D gaming a lot easier on the gamers. I think it would have been extremely hard to try and complete Ocarina of Time without this feature, and it is something that not many people actually consider with their opinion of her (when it is a negative opinion towards her, that is). 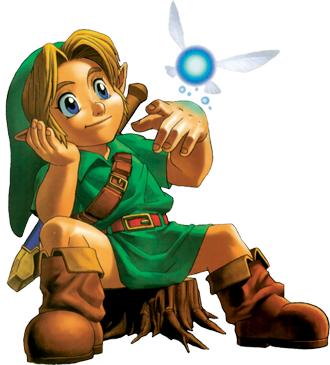 As you can see, in my eyes, Navi was a character that was actually very useful, and not much of an annoyance at all throughout Ocarina of Time. Her input towards the plot especially was rather necessary, and wasn’t very annoying at all as it was actually interesting and useful. My personal reason for disliking Tatl that is she is very rude to Link pretty much throughout the entirety of Majora’s Mask, a character trait that I find annoying. In this aspect, she is very similar to Midna in Twilight Princess, except unlike Midna, she shows her rude, selfish personality until the end, as in my opinion, she never really cares about Link much more towards the end of the game that at the beginning. She only cares for her brother, which shows that she can be warm hearted, but this is cancelled out by her general rudeness towards Link overall. Tatl does actually have some good aspects to her character though. She was actually quite helpful at certain times in the game, like Navi, in helping you find out where to go next (when she interrupted you), and then helping you get there. An example being that during my most recent play through of Majora’s Mask, I actually got stuck at the large wall of ice that stops you from going up to the Mountain Village for the first time until I pressed C-Up. She is also as helpful as Navi is when it comes to Z-targeting, something that you couldn’t really play the game as easily without, and is rather helpful overall, but there are some aspects in the game that I feel that Navi has a lot more knowledge in, such as the bestiary in Ocarina of Time (in comparison to Tatl’s knowledge of the bestiary in Majora’s Mask). Tingle is definitely a character that I find somewhat of an annoyance, but he is certainly one that I can tolerate, and I think a lot of others gamers more than likely do too. He’s probably complained about for the majority of the time because people find him creepy. In fact, most posts that I read concerning Tingle in threads about annoying characters usually are based around the fact that that member finds it incredibly odd and creepy for a man of 35 years to dress up as a Kokiri, a race that generally doesn’t grow past a physical of around 10 or 11. 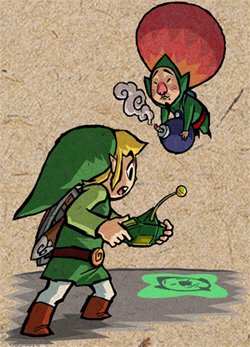 I agree with this, but I don’t see Tingle as annoyance because of this, but something that I find funny. He does annoy me in Majora’s Mask each time he gives you his little speech about his special words because he says the same things over and over. The next reason I’ve seen is to do with the amount he charges for the maps he makes in Majora’s Mask, because you have to go hunting for rupees earlier on in the game, which can be boring and time consuming, especially in a game with an actual set time limit. However, Tingle is actually one of the most helpful characters in the entirety of Majora’s Mask. Without Tingle, you would not be able to use a map when you were outside of a temple in Majora’s Mask. I have not played The Wind Waker, but I believe that you also need Tingle in that game to translate maps for you, something that is, once again, one of the most helpful things in the entire game. It may not seem like much, but having a map is very useful in a series such as Zelda, unless you know the maps off by heart. So to be fair, Tingle is just a man trying to use his services to his advantage, and that is more than enough for me to see Tingle more of an ally, not a nuisance. Midna is probably the toughest character to decide on, as for each thing that she does to aggravate people, there is also a saving grace for her character. There are a few reasons for why people dislike her so much, and the most common reason that I have come across is the fact that Midna makes the plot of Twilight Princess revolve around her and her people too much. That’s a fair point; a majority of the game from the start is all about helping Midna to save her people, whilst Link’s personal worries are set aside for a fairly long period of time. 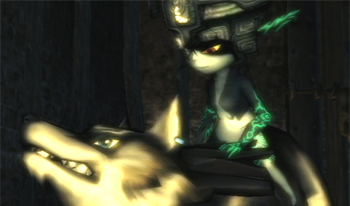 The second is that Midna is a cold, heartless character at the start of the game. She shows no remorse for what damage one of her people has caused to the natives of Hyrule by invading Hyrule, and is adamant on helping her own people. She even emotionally blackmails Link with images of his friends from Ordon at the start of the game. She doesn’t really share Link’s concern for his friends either, thus why I believe that she only really helped him for personal gain. Also branching off from the “cold, heartless character” comment above, Midna is extremely rude in the manner that she does things, which is also related to the lack of respect she has for Link. The fact that this happens so early on is probably what gives people the opinion that she is an annoying character as it’s when we gain our first impressions, which is that she is a smug, annoying imp. We can’t forget the fact that as the game goes on, Midna shows us how useful she is, and her cold, heartless exterior slowly disappears as we are presented with a more sensitive, caring personality that is the true Midna. This is particularly shown towards the end of the game with her speeches, especially those after Ganondorf is defeated. And finally, she does sacrifice herself whilst making sure that Link is kept safe and alive. The fact that she destroys the mirror also shows that she cares for all the inhabitants of Hyrule, as she knows that by doing this, a similar tragedy can’t occur again. You can then start to look at her actual traits – once again she is another character that presents us with a Z-targeting, an aspect in the 3D Zelda games that is irreplaceable; and she can warp Link to anywhere in Hyrule with a portal that he wishes, something that saves a lot of time and travelling. This is the most annoying character in Zelda history for me. There are so many things about him that I find a nuisance or unnecessary. Kaebora Gaebora interrupts you, at the least, as many times as Navi, a character that’s mainly hated for interrupting you. In all my years of playing through Ocarina of Time and Zelda, I have never been more aggravated by anything than when Kaebora Gaebora appears to deliver one of his magnificently delightful lectures on information that I already knew, didn’t need to know, or just didn’t care about. Maybe if we were able to skip these instances, such as the occasion in Lake Hylia, he wouldn’t be anywhere near as annoying as I find him now. In addition, we get the chance to hear everything he says again if we don’t read his questions properly, as the result of saying “yes” or “no” changes constantly throughout the game, causing those who make this mistake to have to sit through his lectures again. The worst part about this is that Navi and the Great Deku Tree generally tell us the majority of what Kaebora Gaebora has to say, thus making his role in the game redundant. He does do something helpful though, which is flying you from the top of Death Mountain to the bottom if you choose to accept his offer. Whilst this saves a very small amount of travelling, it doesn’t total to anything near the amount of useful help that Navi actually offers throughout Ocarina of Time. Overall, Navi is probably one of the best made characters in the series, and is completely opposite to the annoying character that she is believed to be. In my opinion, Kaebora Gaebora is the most annoying character to appear in the Legend of Zelda series, and he has no saving grace as he was one of the more useless characters too.